Welcome to paradise and to the world of entertainment for children and adults that we have prepared for you. At The Royal Sands, fun is endless thanks to the many activities and tours in Cancun that you can choose from during your family vacation, romantic holiday or with your best friends. Enjoy all the activities of the resort such as snorkeling or playing ping pong with children; indulge in the exclusive Spa treatments, work out in the well-equipped fitness center or plan a tour in the Riviera Maya and Cancun in our travel agency. 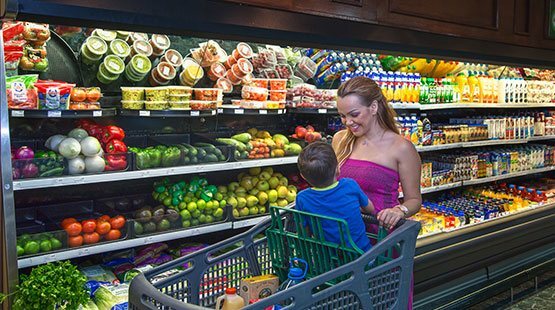 Enjoy the relaxation provided by the sea and the beach, and discover the wide variety of things to do in Cancun and the Riviera Maya, where there is always something fun and exciting so that no one gets bored during your Cancun vacation. If you are looking for fun, relaxation and the freshness of the water, in The Royal Sands we have 4 amazing pools, 1 infinity pool, 2 children pools and 1 lap pool for those who want to practice their favorite swimming style. In addition, you will enjoy the best beaches of white sand in Mexico and the Caribbean, the blue of the beautiful sea that accompanies them and all the fun activities that you can do. The Royal Sands offers a variety of outdoor activities for each of our guests have an amazing time. 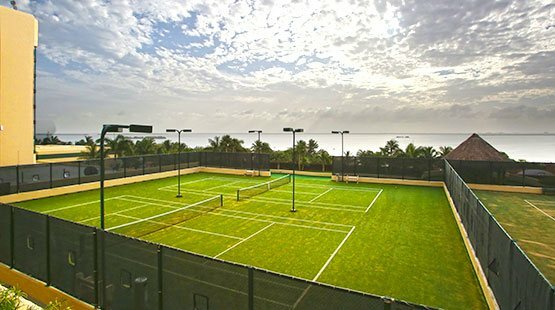 Our great Cancun resort activities program ranges from watersports, tennis, volleyball, Spanish lessons and games such as bingo. 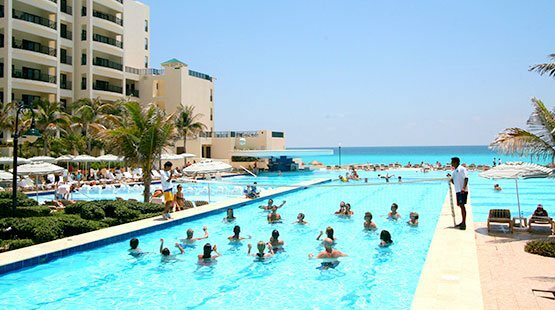 In addition to other Cancun activities which can be arranged through our Activities Center. There are no excuses not to keep in good shape during your family vacations, your romantic holidays or your weekend getaway with friends, since at the fitness center of this resort in Cancun we have the best and newest equipment so that you can continue with your exercise routine or for you to start a new one with our highly qualified instructors. 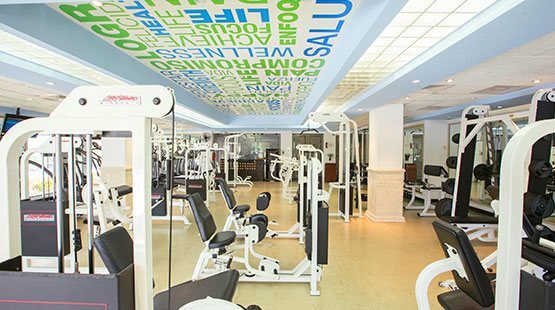 You'll love this Cancun resort gym equipped with weights and cardio machines. 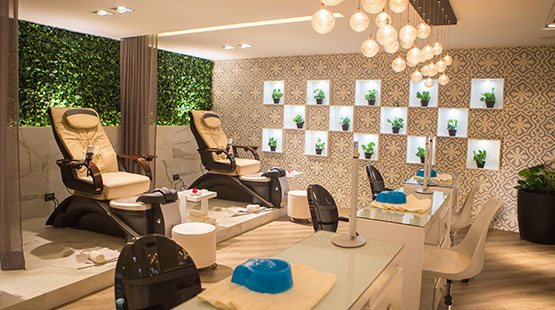 At our spa your relaxation is our priority, therefore we offer you exclusive Spa treatments to pamper you with our shrine dedicated to the well-being of your body and mind, The Spa at The Royal Sands, also boasts an incredible beauty salon. Enjoy our relaxing body and facial massages, wraps and a lot more, to relieve the stress of everyday life and recover your energies. The Royal Sands has a great family activities program so each member of your troop has fun during their Cancun vacation. Children and adults will find something entertaining to do in this family resort in Cancun. 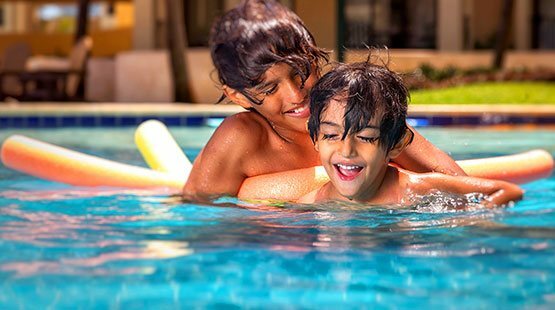 You can choose between the different activities for families that we have in at The Royal Sands or enjoy separately and at each one’s own pace. La Paloma Gift Shop at The Royal Sands Resort & Spa is the first place you should visit to go shopping where you can take a souvenir of your Cancun vacations, buy that swimsuit you liked or the floaties for your kids to go swim, in addition to it, you can also visit The Royal Market, where you will find a variety of products such as foods, beverages and imported products that you would find in the grocery store near your house. The best Cancun resorts recreational activities program is here at The Royal Sands. There is no way you will get bored here, for we have planned all kinds of recreational activities. From aqua aerobics, ping pong and tennis matches, to tours in Cancun and the Riviera Maya, whatever you decide to do will leave you with a smile on your face. The Royal Sands has a fun option for the little and not so little ones of the family. 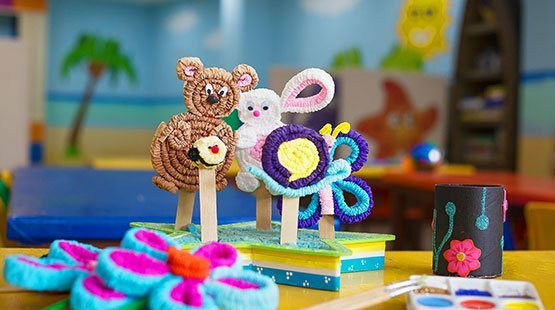 Our Cancun resort Kids Club will provide your children with hours of healthy fun, thanks to the wide variety of games, sports, movies, crafts and other activities for children from 4 to 12 years old. 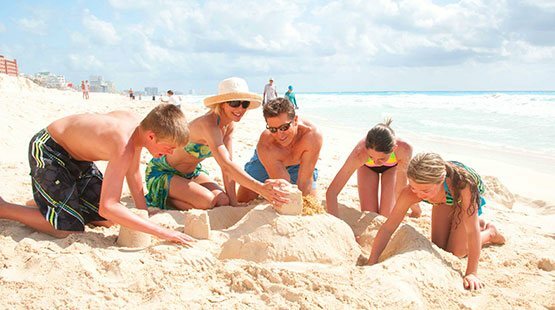 We have planned the best activities for kids so every member of your family enjoy their family vacation in Cancun. All under adult supervision. 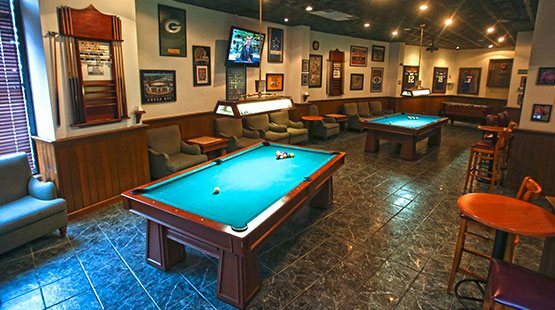 At Sidelines Sports Bar with pool table you will enjoy the best snacks and your favorite beverage while watching your favorite sports program or take the stage to sing a karaoke song with your friends. Also, you will spend a fun and enjoyable time playing pool in the billiard tables of this resort in Cancun, while you wait for us to prepare your favorite dish or your turn on stage.